A company that goes bald together, does incredible things together, as one commendable business demonstrates. 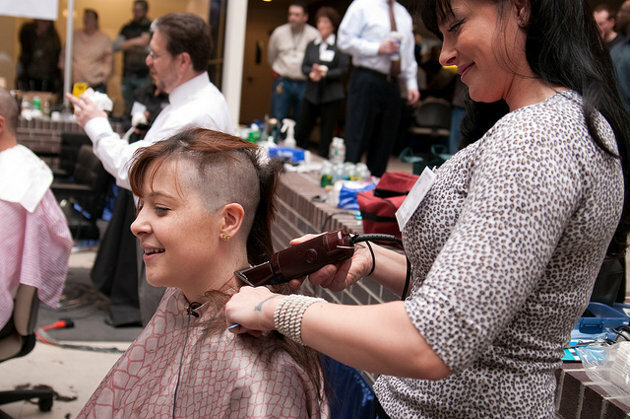 On Monday, 428 people at Granite Telecommunications in Quincy, MA shaved their heads in the lobby of their corporate headquarters, raising $2.1 million to support cancer research. The idea began as a joke when CEO Rob Hale dared one of his employees, who sported a ZZ Top-style beard, to take it off for charity. It turned into something far beyond expectations.